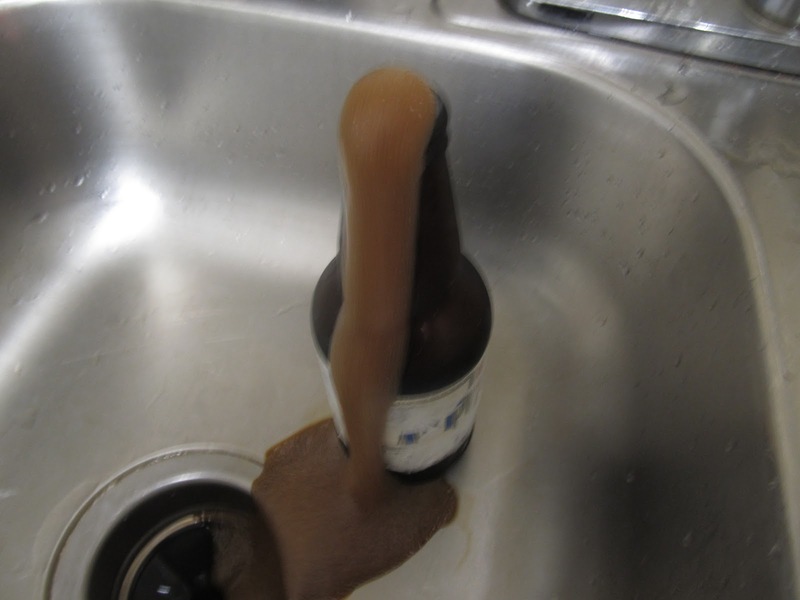 New Porter gushing away in my sink. A couple ounces of vodka infused with 3/4 of an organic orange peel for 24 hours was added at bottling. The idea behind infusing vodka with orange peel was a nod to Newport’s Irvine, CA headquarters in Orange County. 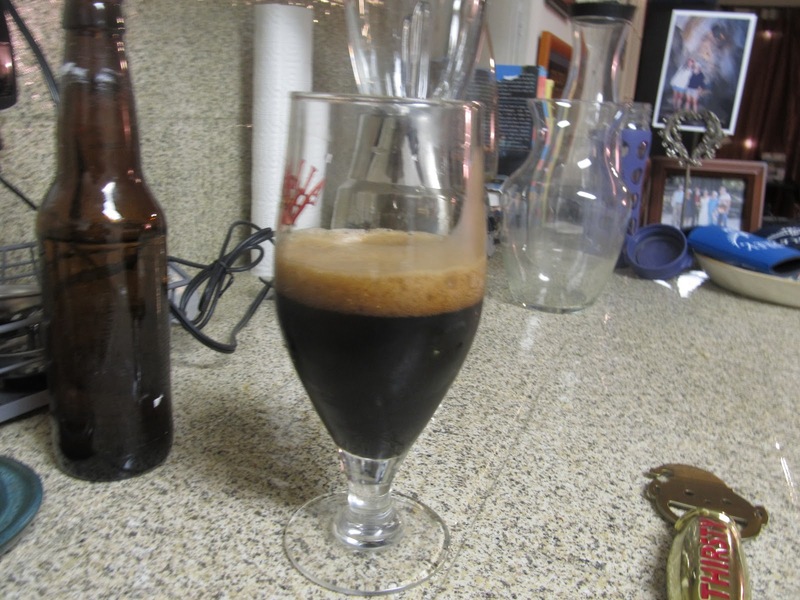 The orange oils and flavors were a bit buried in this porter, which leaned heavily on the roasted side of the style. The end brew was very roasty, with coffee-like flavors but toffee flavors peaking through. I gathered just a few, slight fruity notes from the Cascade hops and orange peel. Not a bad effort. I just got to cut way down on the priming sugar next time. initial excitement of opening the bottle died down. Previous Previous post: No Stupid Flu was Keeping Me Out of the 408k!